Germany - Essen, June 2014. 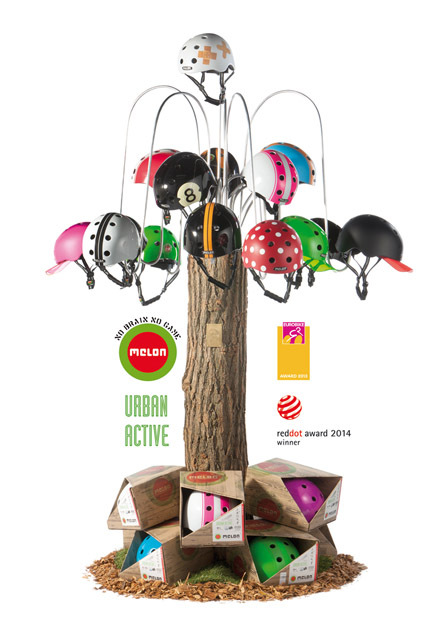 The Eurobike 2013 and Red Dot 2014 award winning Melon® Urban Active Helmet is one of the twelve most sold helmet brands in Switzerland. As such our helmet has been tested by the Swiss TV Magazine “Kassensturz”, the Swiss “Velojournal”, and “saldo”. Others to be included in the test were brands such as Scott, Giro, Uvex, Bern, POC, Kask. The test was carried out by the independent and trusted EMPA Institution. We are happy to announce for the safety of all consumers, that all tested eight racing bike and four urban bike helmets fulfil the European Safety Standard CE EN-1078! 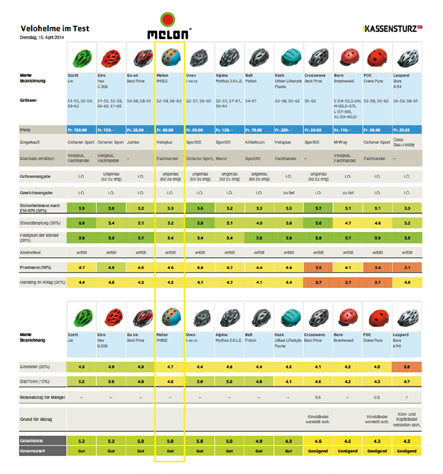 The European sports brand Melon® Helmets (http://www.melon-helmets.com) was founded by brothers David and Michal Cervenka. The Melon® headquarters are in Essen, Germany. Already the Melon® Urban Active Helmet was awarded with the international well respected Eurobike Award and Red Dot Winner Product Design Award. The brand distribution company Intelligent Mobility GmbH based in Europe’s largest metropolitan area has been developing, marketing and distributing special brands in the “fashion, protection and mobility” segment since 2006. The brand name comes from the English expression, “Watch your Melon!”, the creative “Melon Helmet community” and the natural properties of the watermelon known as the “armour-plated berry”. The melon is, therefore, the perfect metaphor for the head, which is also documented online by the many humorous images of “Melonites” found under the search term “Melon Helmets”.